The Schlegels recently spent time in Dinangat and it was great! That is not because things are perfect for they are not but because God is at work and they were able to see it clearly this time which was so encouraging. There are still things that are hard but God in His Sovereignty uses the hard and difficult things to build His church there. Here are a few ways they were able to see God at work. The church is growing with lots of pains and joys as they are becoming more and more what God wants them to be. Please continue to pray for the Dinangat youth, marriages, the different, difficult relationships, the other church in the neighbouring village, the kids, the leaders etc. God is at work, He will build His church. He is honoured by our prayers and our dependency on HIM because HE alone is able! Recently a beautiful opportunity opened up for some of the stronger believers as an elder spoke up with conviction against threatening and intimidation saying, “In the past we were afraid of such things and we lived church standing on God’s Word with one foot but standing on old beliefs passed down from our ancestors with our other foot. But today we stand on God’s Word alone and nothing else!” Please pray for the believers as they stand against sinful practices. 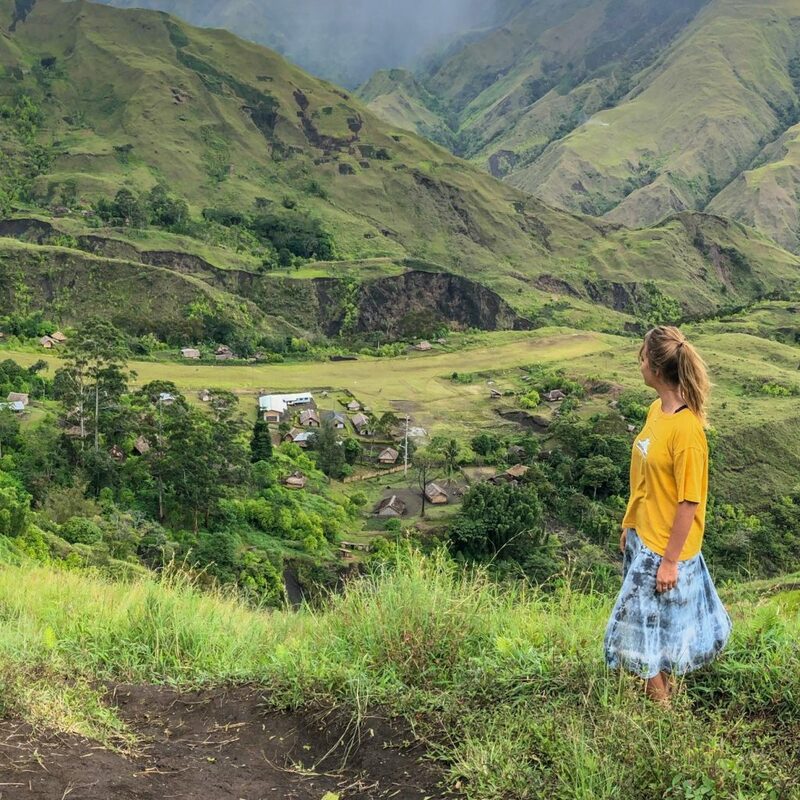 After having spent two weeks in Dinangat it was time for Elli, Rebekka and Mimi Schlegel to go back to Goroka for the last school term and to say good bye once again to all their Dinangat friends. Ralf stayed there to keep on working on the Dinangat Bible Translation with his helpers for ten more days. To say good-bye in Dinangat is always hard but this time it was especially hard because Rebekka had to say her last good-bye to her Dinangat home where she had spent most of her life. She will graduate from school in about eight weeks and then move back to Germany where she hopes to go to a midwifery school for the next three to four years. Many mixed emotions, having to let go of familiar things and letting herself get excited about lots of new things will be the challenges Rebekka will face in the coming months. Please pray for her!